Read our expert guide on double glazing – how to get quotes, avoid the traps when dealing with salesmen, finding a reputable company and, most importantly, avoid being overcharged when you install double glazing. There are many horror stories about double glazing salespeople and they certainly have a somewhat less than perfect reputation. However, knowing how they operate means you are one step ahead, less likely to fall for their sales tactics, and have a better chance of paying a reasonable price. To give you that head start, we have spoken to both double glazing experts and home owners to get their insights on the best way to get a good double glazing company and a quote that won’t break the bank. 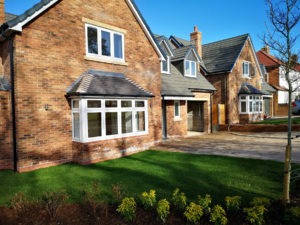 a reputable independent company that supplies double glazing within your local area; Complete Glazing Birmingham are a perfect example of a local independent double glazing company. a local builder or joiner. If you are already renovating your property, or doing major works like building an extension or a loft conversion then you will be more likely to choose the last option simply because you already have access to someone who can coordinate this for you and can probably get you a great deal, even as low as trade price, for the products you need. We asked for advice from a number of the independent double glazing companies who trade across the UK. They gave us the following insider tips on how a home owner can avoid the less reputable double glazing companies and get the best deal available. Make sure you do a lot of background research before you settle on any particular company. Many people say they chose a particular trader because of their good reputation. In fact 49% of those choosing an independent contractor did so on this basis, and 38% of those using a big national company used the same criteria. Companies House is a great resource. You can search online to check a firm’s financial position and reduce the risk that they could just dissolve and melt away with your money. Companies who are longer established – over 10 years is recommended – are a good bet, and this can also be checked on the Companies House website. It is wise to check to see if their company name has been changed, or if they have a history of liquidation. If their history is not solid it could mean that they are a risk or that they are not as reputable as they might be. If they are local ask to be shown examples of their work on local properties, speak to customers if you can about how they found the company with regard to the products they provide and their standard of work, and always go and look for yourself. Never just rely on photos, websites or brochures provided by the company. Surprisingly, when asked 19% of people who chose an independent company and 25% of those who chose a large national double glazing firm said they were the only company that quoted. Our recommendation is that you get at least 3 quotes. That way you can see what is likely to be a more reasonable price. If you can go to the showroom and discuss the technology behind each different system, the pros and cons, and so on you will get a feeling about the company; how professional they are, how much knowledge they have in the field, it will all make the decision making process clearer. NB: If you agree a contract with a double glazing sales person you will not have the right to cancel after they leave your property. Please check out our double glazing contracts section for up to date information. Anyone who has ever tried to book a good tradesman will tell you that you should expect a wait as they are often booked up in advance. If someone is available immediately or seems to have a very clear diary it may not be a good sign. Check up on all their contact details and any paperwork you have. Any reputable company are more than happy to give out contact information. Cold calling on the doorstep is quite a common way that people attempt to sell double glazing. However, if someone knocks your door claiming to be a bona fide trader we would recommend that you do not engage with them. Of course, some of these callers will be completely genuine, but there is no way to tell so we recommend you turn them away and look elsewhere. You need to be able to ascertain the quality of their products, their workmanship, and if they are quoting a good price. The doorstep is not really the place to do that properly. Many of the door step offers are tempting and if you think it’s a good offer just ask for their details. This gives you chance to check up on the company and ask around to see if others have used them and what their opinions are. A glazier who has registered with one of the above schemes have been certified to work to a certain standard and can also certify that your installation complies with building and safety regulations. The work is also covered by insurance if it turns out not to be compliant or the company stops trading. Regulations in England and Wales state that all new and replacement windows must comply with energy efficiency standards. This can easily be certificated by a trader registered with one of the above schemes. If they are not the windows need to be checked by the local council who can issue a certificate once they are sure they comply with the regulations. Home owners in Northern Ireland, Scotland and the Channel Islands have different regulations and should contact their local authority. 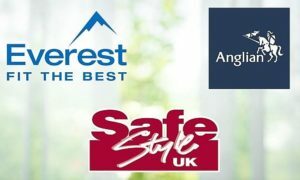 Many double glazing installers have joined an Alternate Dispute Resolution scheme. This makes it easy for everyone if something goes wrong or there is a dispute the parties are unable to resolve. It is always worth looking for an installer who is registered with a scheme.